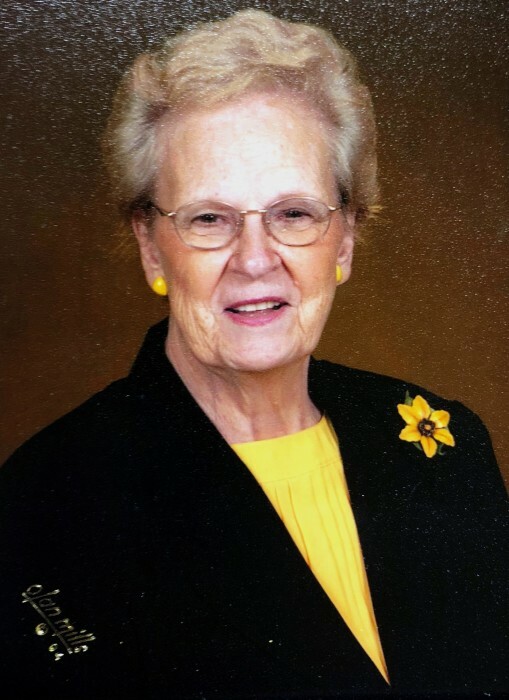 Martha Holder Hendon, 93 of Rossville, passed away Thursday, October 25th in a local healthcare facility. Mrs. Hendon was a lifelong resident of the North Georgia area and a member of Flintstone Baptist Church. She enjoyed needlepoint, crochet, cross stitch, traveling, cooking, and entertaining. She was preceded in death by her husbands; Thurman Holder, John Henderson, and Hugh Hendon; parents, R.L., Sr. and Vera Trundle; 3 brothers and 3 sisters. Survivors include her son, Al (Darlene) Holder; grandsons, Chris (Brigit) Holder, and Troy (Amber) Holder; 3 great grandchildren, Brittany, Jacob, and Corey Holder; special niece, Ella (Jim) Brown, and several nieces and nephews. Funeral services will be held, Monday, October 29th at 1:00pm in the South Crest Chapel with Rev. Brian Carroll officiating. Burial will follow in the Lakewood Memory Gardens South. The family will receive friends Sunday, October 28th, from 2-4pm and 6-8pm in the South Crest Chapel of Lane Funeral Home & Crematory, located at the end of historic Missionary Ridge, Rossville.